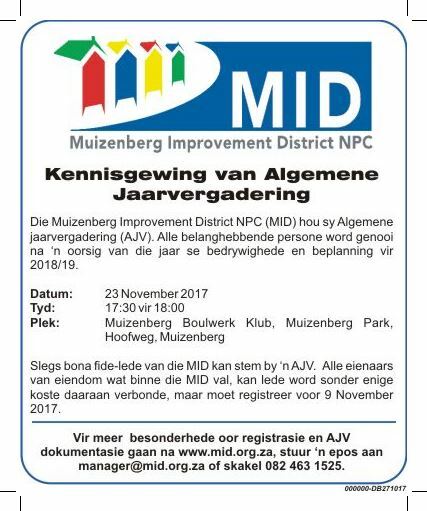 Join us on 23 November at 18:00 for our MID Annual General Meeting at The Muizenberg Bowling Club, Muizenberg Park, Main Road, Muizenberg. Registration commences at 17:30. We will need 20% of our membership present to constitute a quorum.